The final nail-biting installment in the ten-part, award-winning Hanne Wilhelmsen series—bestselling in Norway and throughout Europe—from Scandinavia’s most celebrated female crime writer, Anne Holt. Police investigator Kjell Bonsaksen is a contented man in most areas of life, but for one mistake he made years ago that has rankled like a stone in his shoe ever since: in 2001, a two-year-old girl was killed by a speeding car while playing in the road in front of her home. The marriage of the toddler’s grief-stricken parents dissolved in the wake of the accident, and not long thereafter, the girl’s mother died under mysterious circumstances. The girl’s father, Jonas, was convicted of his ex-wife’s murder and sentenced to twelve years in prison. But Kjell Bonsaksen knew he was innocent. Now it’s 2016, and Kjell is looking forward to his retirement to the French countryside with his wife. An uncomfortable chance encounter with Jonas at a roadside gas station prompts him to dig out Jonas’s case files for Detective Henrik Holme, the resident cold case prodigy. 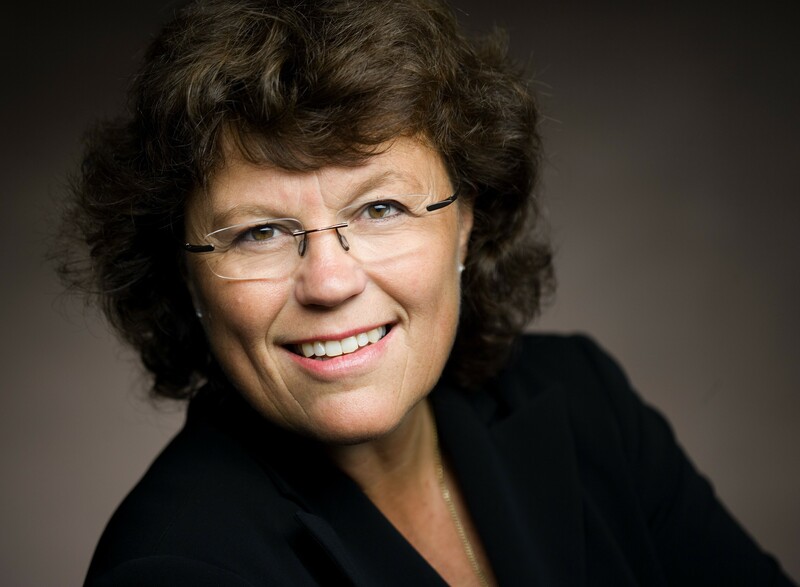 Henrik doesn’t take long to convince his beloved mentor, Hanne Wilhelmsen, that Jonas was wrongly convicted for his ex-wife’s murder. As their investigation evolves, Hanne and Henrik uncover eerie connections to the recent suicide of a right-wing extremist blogger whose fanatic ideologies seem incompatible with a desire to die. 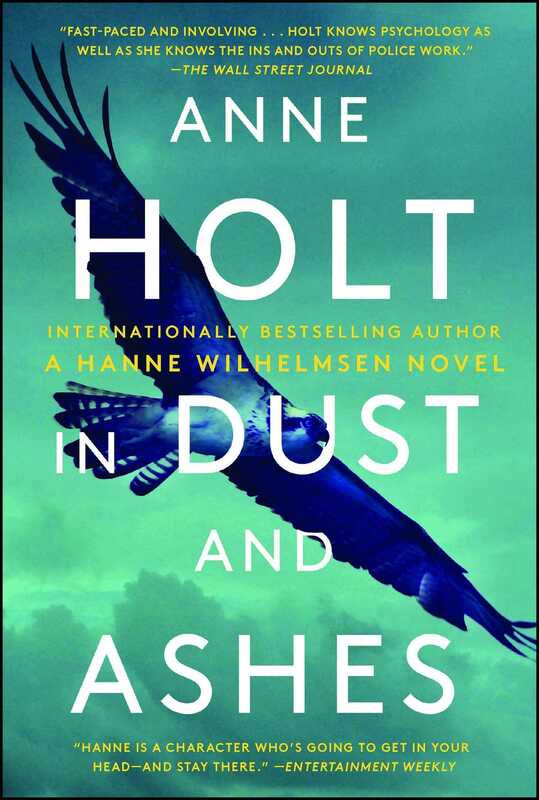 Masterfully plotted, In Dust and Ashes is the outstanding finale to Anne Holt’s award-winning, politically and socially conscious series, confirming Hanne Wilhelmsen as a character who will “get in your head—and stay there” (Entertainment Weekly). Only a couple of weeks left, and then it would all be over. Their new life, he and his wife in Provence. She was the one who had insisted on a move. He couldn’t speak French and didn’t drink wine, but at least the climate down there was appealing. He had been in the police since 1978 when he had entered what they had then called Police College, and it was high time he found something else. Dog breeding—that was what he and his old woman had decided on. A whole lifetime had gone by since the end of the seventies—a couple of generations of Norwegians and thirty-nine sets of trainee officers. Or police students, as they had snootily come to be called over the years. He himself had started in the police force when they used pen and paper and the odd IBM golf ball typewriter and the youngest officers were more than content to be known as constables. A few months ago, he had been promoted to the rank of superintendent, less than six months before everything came to an end. Having turned fifty-eight in the middle of January, he could pack up the odds and ends in his office and walk out the doors at Stovner Police Station for the very last time. Kjell Bonsaksen was a contented man in most areas of life. He had no intention of looking back; after all, it must be possible to get a decent beer down there in Provence. His son was an only child and their two grandchildren half French, so it actually hadn’t been too difficult to persuade him to move closer to them. They had sold their terraced house in Korsvoll following a furious round of bids for a sum that had caused him to blush. A good chunk of money was left over, even when the little house outside Aix with the sprawling, overgrown garden was paid in full. He wouldn’t be able to eat so many hot dogs down there, when his wife could keep an eye on him all the time. Placing a fifty-kroner note on the counter, he received some change in return and dropped it into his pocket. He zigzagged a generous portion of ketchup over his hot dog, shaking his head when the assistant pushed the bottle of mustard toward him. Through the large windows, he glanced at the gas pumps. The weather was horrendous, as it had mostly been all through Christmas. Plump, wet snowflakes melted before they reached the ground, and everything was in shades of gray. A parked trailer truck blocked his view of the E18. It would probably be red once it was washed. A man came walking toward the automatic doors. Tall, he had most likely been good-looking at one time. Bonsaksen was not a particularly adept judge of that sort of thing, but there was something about the wide mouth and the extremely straight, symmetrical nose. As the man entered, he looked up and straight at him. Kjell Bonsaksen froze in the middle of chewing. There was something about those eyes. The man stopped for a moment, so briefly that it was actually more a matter of slowing down midstep, before resuming his pace. He was holding an empty cup in one hand, and without a word to the fellow behind the counter, he filled it with coffee from a dispensing machine on a table by the window. Bonsaksen was a dependable police officer. Never exceptional, and this final promotion had probably been the police chief’s way of saying thanks for long and faithful service rather than real acknowledgment of his suitability to be in charge of very many subordinates. His forte was working hard and according to the book, being honest and exact, and he was never tempted to take shortcuts. He was a workhorse. Policemen of his ilk were a dying breed. It had bothered him for some time, but now he couldn’t care less. He had only thirteen days left of his solid, if somewhat nondescript, career. As a police officer of almost forty years’ experience, what he was proudest of was his memory. A policeman had to be able to remember: names and cases; relationships and faces; crime scenes; perpetrators and victims. You had to have some glue up top. Although the man at the coffee machine had lost most of his hair and was also much thinner than the last time they met, Kjell Bonsaksen recognized him as soon as they exchanged glances. His big eyes were unusually deep-set in his skinny, almost gaunt face. They radiated nothingness. Neither curiosity nor evil. No trace of pleasure, not even that the stranger had also recognized him. They contained not a sliver of reproach as the man placed the lid on his cup and, with steady steps, approached the hot dog–munching policeman. He stopped a few feet away from him. “You knew I was innocent,” he said softly. Kjell Bonsaksen did not answer. He had more than enough to do, struggling to swallow an oversized chunk of hot dog, roll, and ketchup. He let his gaze linger on Kjell’s face for a second or two before giving an almost imperceptible shrug as he turned on his heel and headed for the exit. Kjell Bonsaksen stood lost in thought, a half-eaten hot dog in his hand, until the stranger climbed into the trailer truck that might have been red and drove out onto the highway in the direction of Oslo.